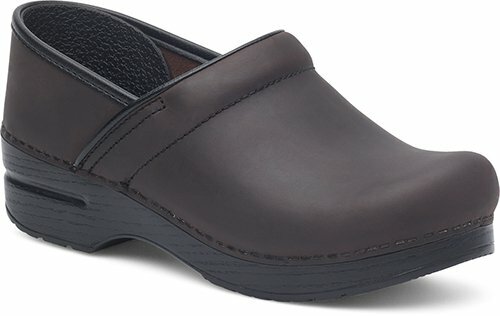 This classic Dansko Wide Professional Box Slip-On Clog feels great and is appropriate for a variety of work environments. 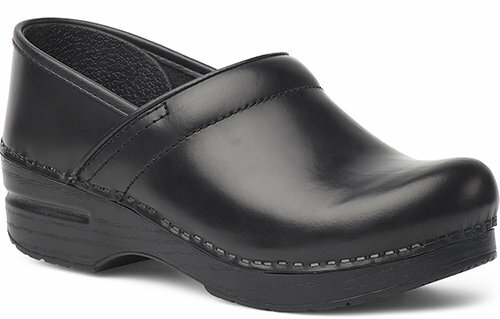 Its shock-absorbing polyurethane rocker outsole propels your foot forward for a smooth, comfortable gait, and a plush memory foam insole delivers all-day cushioning and arch support. A reinforced toe box protects toes and gives them room to relax, and a polyurethane inner frame provides superior stability as you walk. 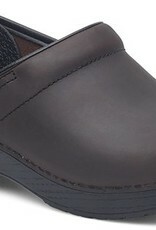 The leather upper conforms to your foot and is lined in breathable leather that helps promote a dry, healthy environment.